This special post is in response to a request of one of the readers of this blog, and for whom and his son, who now studies in UP Mindanao, this post is warmly dedicated. The University of the Philippines Mindanao (UP Mindanao) is one of the three universities worldwide that offers degree programs in Agribusiness Economics (ABE), and because of this, the university is regarded as one-of-a-kind in the Philippines for offering such programs. Located at Mintal, Tugbok District, Davao City, UP Mindanao was created on February 20, 1995 by virtue of Republic Act 7889, whose main focus is in Mindanao studies through programs in the Autonomous Region of Muslim Mindanao with a view of attracting Muslims and Lumads, as well as marginalized and deserving students. 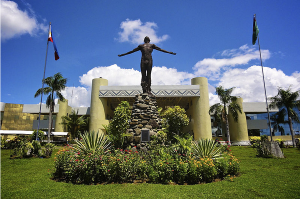 It is one of the six universities of UP in the country, and the only one in Mindanao. UP Mindanao is governed by an 11-member Board of Regents composed of: the UP President; the Chairman of the Commission on Higher Education (CHED); the chairpersons of the Committee of Higher Education of the Senate, and the House of Representatives; 4 regents representing the student, faculty, alumni, and staff sectors; and 3 regents who are appointed by the President of the Philippines. The university is directly administered by the Chancellor, who is assisted by the Vice Chancellors for Academic Affairs and Administration. The University Council is composed of the Chancellor, university professors, associate and assistant professors of the university. The Chancellor serves as Chairperson, and the University Registrar as Secretary. The Council exercises disciplinary power over the students through its Chancellor or Executive Committee within the limits prescribed by the rules of discipline approved by the Board Regents. The Executive Committee, which counts as members the Deans of the various degree-granting units of the university, acts in an advisory capacity to the Chancellors in all matters pertaining to their offices. The President of the University is an ex-officio member of the University Council of each constituent university and presides over its meetings. The Administration Building houses the Administrative Offices and the College of Humanities and Social Sciences (CHSS) and School of Management (SOM) classrooms. It was designed by Francisco C. Santos, Jr. inspired by Bagobo architecture and design after the Quezon Hall (Administration Building) of UP Diliman. The Atrium of the Administration Building is where most university events are held. As with the other UP campuses, the University is home to many student organizations that sponsor many activities, most notably during the months of July, December, and February where said organizations foster camaraderie and felowship. Most of the events are organized by the UP Mindanao University Student Council (USC) and student organizations, and are supported by the Office of Student Affairs (OSA). Other events are also hosted by courses and student organizations, notably course-based organizations, fraternities and sororities. 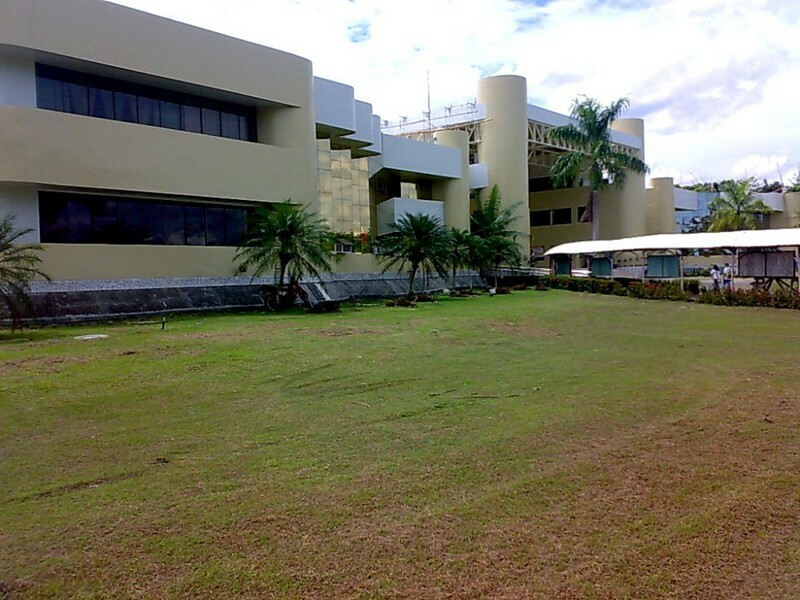 Academic Building I (Kanluran) houses the College of Science and Mathematics (CSM) and the DOST-SEI Regional Biotechnology Laboratory. It was aptly named "Kanluran" due to its western location in the campus. In 2007, the Philippines' Commission on Higher Education (CHED) awarded a National Center of Development (COD) to UPMin in Information Technology (College of Science and Mathematics). Currently the university is developing itself to become a Center of Culture and Languages, engaging in activities enriching the Filipino and ethnic languages and Mindanao through literature and translation. The university is also an active member of the Davao Colleges and Universities Network (DCUN) in the field of cultural integration and development. It aims to become the best science university in Southern Philippines with the UP Mindanao Science and Technology Park Consortium. The university’s long term plan is to transform UPMin to a "green university town", the only one of its kind in the UP system and in the Philippines. Elias B. Lopez Hall houses the Student Housing Services office, dormitory rooms which can accommodate about 250 occupants, the University Clinic, and the Interactive Learning Center-Learning Resource Center. 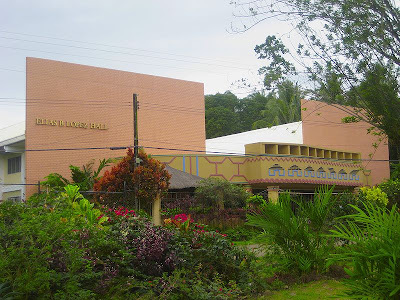 The hall was named in honor of Congressman Elias B. Lopez, the so-called "Father of UP in Mindanao" who was the main proponent of the establishment of the university. The EBL Hall serves as the student residence center of the university administered by the Student Housing Section (SHS) under the Office of Student Affairs (OSA). Several dormitories and apartments are also near the campus, located mostly at Sitio Basak and Mintal, where most of the upperclassmen coming in and outside Davao City reside. The Kalimudan Student Center was opened in August 2010, and houses commercial establishments and related facilities. 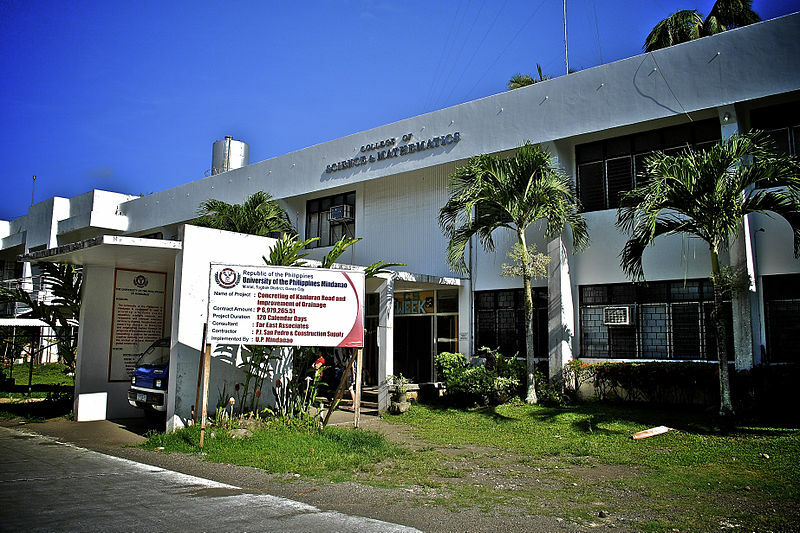 Even before the establishment of UPMin, Barangay Mintal, particularly the area of Bago Oshiro, is one of the agriculture research centers within Davao, housing many of the Department of Agriculture's research centers. 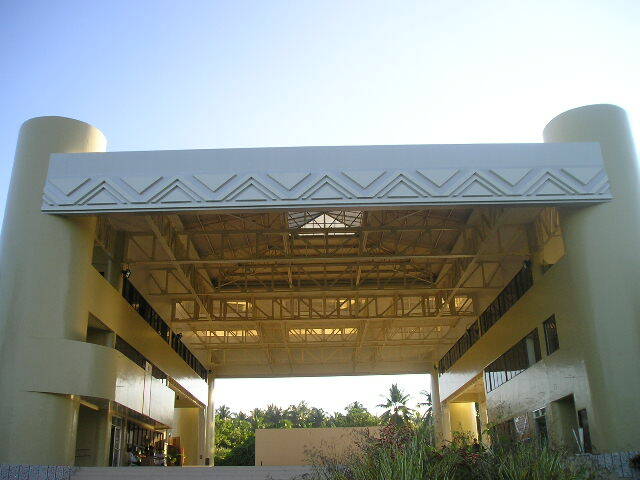 Centers for scientific education and research, notably the Philippine Science High School Southern Mindanao Campus at Sto. 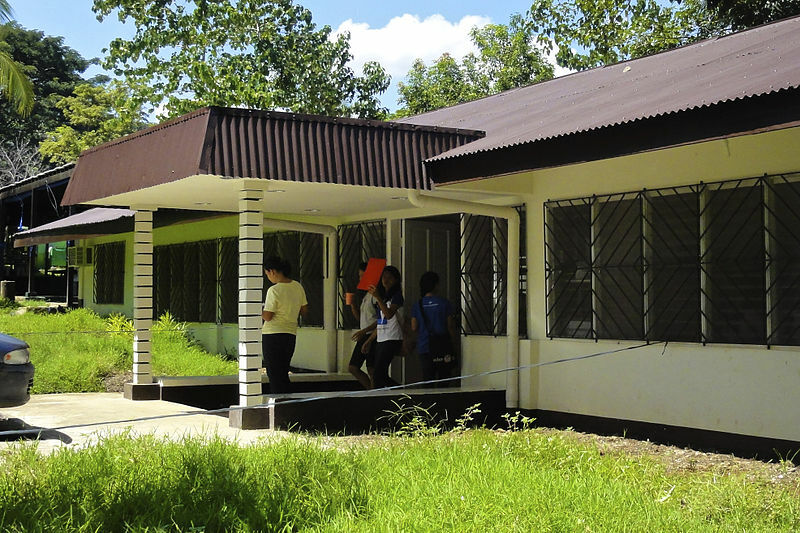 Niño and the Mindanao Science Centrum at Bago Oshiro, are also within Barangay Mintal, further defining the area as an "academic and research hub". With the establishment of UPMin in Mintal, this once sleepy barangay has been rapidly transformed into a small university town within Davao City, with businesses and establishments built around the university serving the needs of the students and faculty. Furthermore, the UP Mindanao Land Use and Master Development Plan aims to create UP Mindanao a "Green University Town", being a "garden" campus with emphasis on the Mindanaoan culture, with each building reflecting each ethno-linguistic group in Mindanao. The SOM Building (UP Mindanao City Campus, UP Anda) is located in F. Iñigo Street (formerly Anda Street) in downtown Davao City. It houses the old Terazza Milesa building where classes for the School of Management (SOM) major subjects and Masters Degrees, and the UP Open University Davao office. This building was formerly an old hotel rented by the former UPMin Administration for their offices and temporarily served as an extension campus while same moved from the old Ladislawa campus. Upon the completion of the SOM Building at the main campus, the remaining facilities had been moved into the new building at Mintal. Inspired from UP Diliman's University Avenue, the Mindanao Avenue connects the Administration Building directly into the road network of Mintal-Sitio Basak which enshrines the Oblation statue that has been the iconic figure of the university. 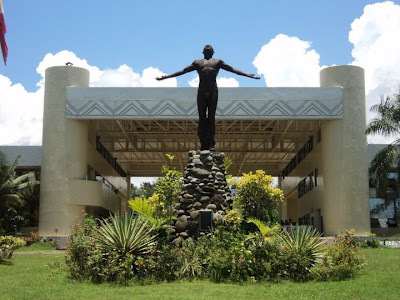 The Oblation is the iconic symbol of the University of the Philippines represented by a man with arms wide-stretched and face facing up symbolizing selfless offering of one’s self to his countr. The original Oblation in UP Diliman was made by Professor Guillermo E. Tolentino with the help of his student apprentice, Anastacio T. Caedo. Several replicas of the Oblation were made for the university, some by national artist, Napoleon Abueva, and 2005 national artist nominee Glenn Bautista. Maguindanao Road (Kanluran Road) is the largest and the main road in the university. 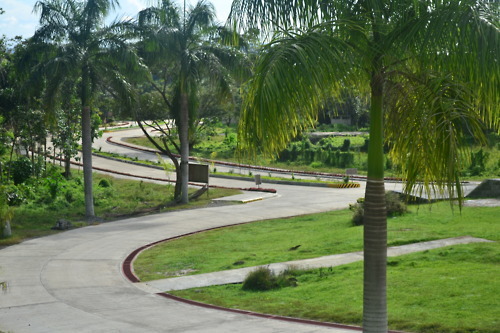 The road connects the Administration Building with the Elias B. Lopez Dormitory with Kanluran. It has a distance of 1.1 kilometers from the Administration Building to Kanluran where the College of Science and Mathematics (CSM) and the DOST-SEI Regional Biotechnology Laboratory can be found. The campus has its own network of jeepney transportation called "UPMin Ikot" which is supported by motorcycles and tricycles called "Habal-habal" and "Princess", respectively. They usually ply the Admin-Kanluran, Admin-Sitio Basak, Admin-Mintal and Kanluran-Mintal routes. 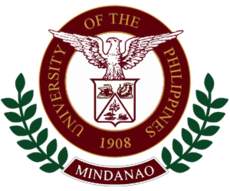 UP Mindanao is composed of two colleges and one school: the College of the Humanities and Social Sciences (CHSS), which focuses on the cultural diversity of Mindanao; the College of Science and Mathematics (CSM), which studies the local flora and pioneering scientific development; and the School of Management (SOM), which undertakes research on supply chain management. I hope you make it to UP Mindanao this time, Haizen. Good luck! Wow! I know you are referring to me..This is so awesome. Thank you so much for the effort..I going to post link in this blog to my wall. If it's okey with you... How I can be notified on you future blogs? Is it possible? Yes, I was happily referring to you when I posted this particular blog on UP Mindanao just as you have requested me to cover the University, and thank you for posting a link to your wall. It might interest you to know that I have added a link below, FOLLOW THIS BLOG BY EMAIL, where you can enter your E-mail address so you may be notified through your mail of fresh posts and updates. an update - since may 2011, UP min som has given up the anda campus and has transferred to its own building in mintal campus. as you enter the main campus, even before reaching the admin building, there is a road to your right that will lead you to the som building. there's an som sign too. mahal ba ang tuition fee sa kursong food chemistry? It's more fun in the Philippines! There are lots of beautiful landscape and resorts in the Philippines that tourists will really love.